I have joined the USC Institue for Creative technologies and this page will no longer be updated. You can access my new hompage here. I was a Swiss NSF Ambizione fellow at the Swiss Center for Affective Sciences and CVML laboratory where I lead the Multimedia Affective Analysis group. I am interested in emotion recognition and emotional analysis of multimedia. My current research is about analyzing and building emotion recognition tools based on cognitive appraisal theory. Together with my team, we are also working on studying brain and face inter-modality interaction and emotional analysis in music. I am a member of MediaEval community council and a member of Executive Committee for the AAAC. I am also a member of ACM SIGMM and the IEEE. 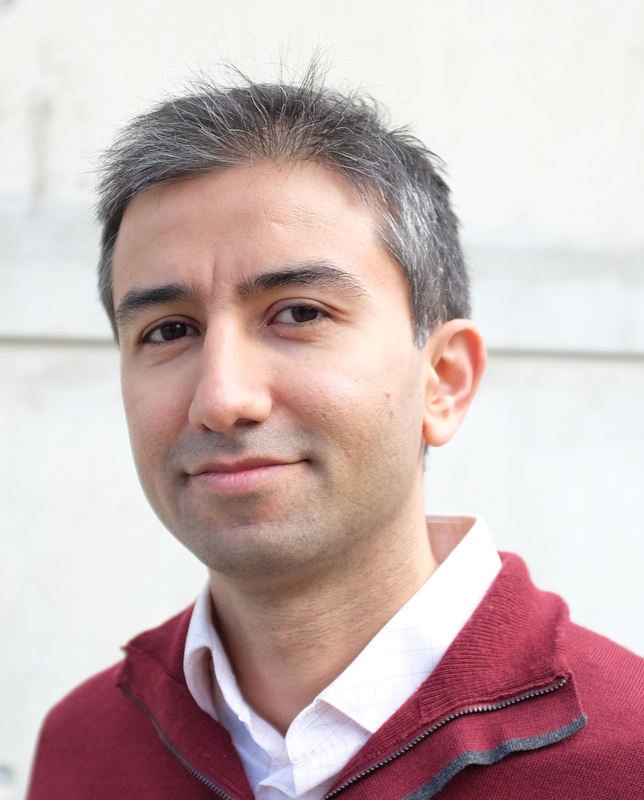 Mohammad Soleymani received his PhD in computer science from the University of Geneva, Switzerland in 2011. From 2012 to 2014, he was a Marie Curie Fellow at the intelligent Behaviour Understanding Group (iBUG), Imperial College London, where he conducted research on sensor-based and implicit emotional tagging. He is currently a Swiss NSF Ambizione fellow at the University of Geneva, Switzerland. His research interests include affective computing, multimedia information retrieval, and multimodal interactions. He is one of the founding organizers of the MediaEval benchmarking campaign. He has served as a guest editor for the IEEE Transactions on Affective Computing, Image and Vision Computing and Journal of Multimodal User Interfaces. He is an associate editor for the IEEE Transactions on Affective Computing and a program chair for ACII 2017. He has also served as an area chair, program committee member and reviewer for multiple conferences and workshops including ACM MM, ACM ICMI, IJCAI, ACM ICMR, ISMIR and IEEE ICME. Co-organizer for Workshop on Analysis and Modeling of Faces and Gesture (AMFG), ICCV 2017. Co-organizer for Workshop on Multimodal understanding of social, affective and subjective attributes, ACM MM 2017. Member of the IEEE Transactions on Affective Computing (TAC) Steering Committee (Computer Society representative), 2017 -. Member of the executive committee for the AAAC (formerly Humaine Assoc. ), 2016 -. Grand Challenges chair for ACM ICMI 2016 and 2017. Area chair for ACM Multimedia 2016. Co-organizer for Workshop on Affect and Sentiment in Multimedia, ACM Multimedia 2015. Co-organizer for Workshop on Analysis and Modeling of Faces and Gesture (AMFG), CVPR 2015. Area chair for ACM Multimedia 2015. Organizer and member of the community council for MediaEval multimedia benchmarking since 2010. Publication chair for ACII 2015 and ACII 2013. Co-organizer for Workshop on Affective Analysis in Multimedia (AAM), ICME 2013, San Jose, US. Associate editor for IEEE Transactions on Affective Computing (TAC). Guest editor for the special Issue on Multimodal Sentiment analysis and Mining in the Wild (Image and Vision Computing). Guest editor for the special Issue on Advances in Affective Analysis in Multimedia, IEEE Transactions on Affective Computing (TAC) (published in 2015). Guest editor for the special issue on the best of ACII 2013 in Intractions, Journal on Multimodal User Interfaces, Springer (published in 2015). Occasional reviewer for: Human-Computer Interaction, IEEE Trans. Multimedia, Int. Journal of Human-Computer Studies, Image and Vision Computing, IEEE Trans. Affective Computing, IEEE Trans. Systems, Man and Cybernetics–Part B, IEEE Trans. Human Machine Systems, ACM TOMCCAP, Neurocomputing, Artificial Intelligence in Medicine, Int'l Journal of Synthetic Emotions, User Modeling and User-Adapted Interaction, PLOS One, IEEE Trans. Selected topics in signal processing, IEEE Signal Processing Letters, IEEE Trans. Circuits and Systems for Video Technology, EURASIP Journal on Image and Video Processing. PC memberships: IEEE FG'19, AVEC'18, ACM ICMR'18, IEEE FG'18, ICMR'17, ACM UMAP'17, ICME'17, IUI'17, IEEE ACM UMAP'16, IJCAI'16, IEEE ICME'16, Multimodal Machine Learning workshop 2015, CBMI'15, ACM MMSys'15, IEEE ICME'15, EmoSPACE'15, Workshop on Personality and Affect in Multimedia Retrieval '15, ACM MM'14, IEEE ICME'14, CrowdRec'13, Workshop on Social Behaviour Analysis (SBA-2013), ACM MM'13, IEEE SMC 2012&13, Wokrshop on Emotions and Personality in Personalized Services, UMAP 2013, IEEE ICME'13, AMC MM Sys'13, Workshop on Social Media for Human Computation (SOHuman) , 2012-2014, Workshop on Personalized Access to Cultural Heritage (PATCH 2012), ACM MM'12,Workshop on Crowdsourcing for Multimedia, ACM MM'12, Workshop on Social Media for Human Computation,IEEE Social Com., 2012. A comprehensive list of my publications can be found at my google scholar profile.